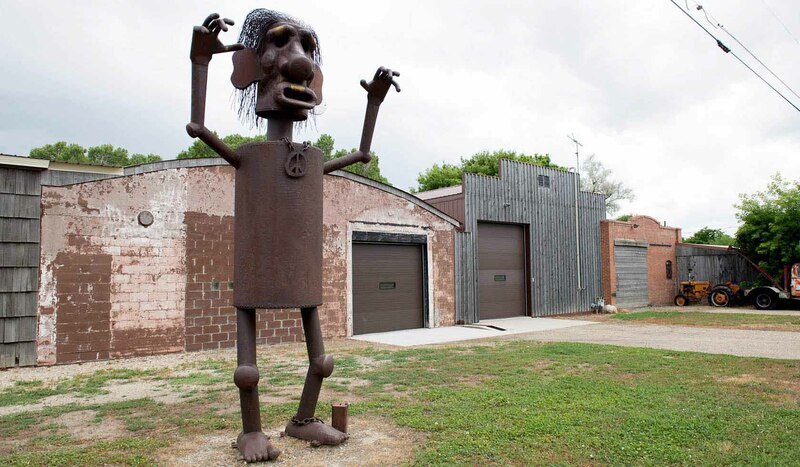 Charles Ringer Studio & Gallery: Ringers metal studio, specializing in kinetic steel sculptures depicting various animal shapes, animal-people relationships, social stereotypes and geometric designs. Also Ringer creates metal plants, outside abstract shapes, wind driven sculptures and geometric static shapes. The studio grounds are an interesting collection of metal shapes and sculpture. Next door is Ringer's gallery full of finished sculpture. Hours are variable. Call ahead if not open to view gallery or have a studio tour.